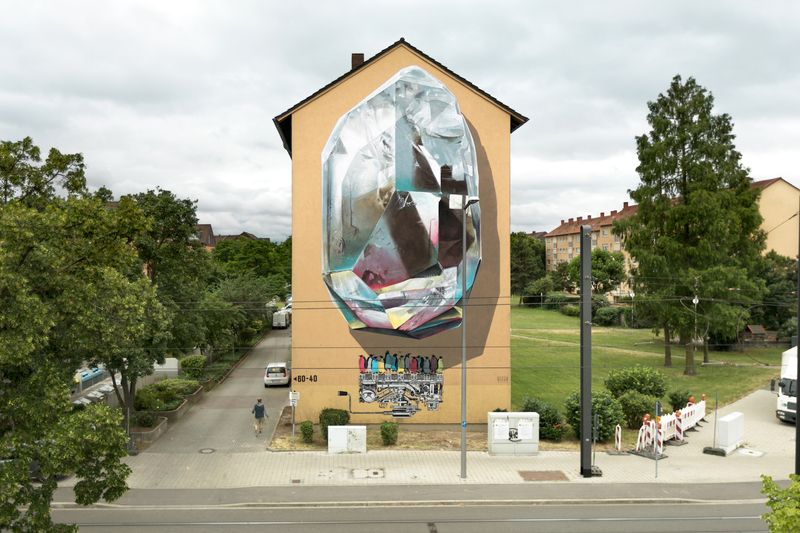 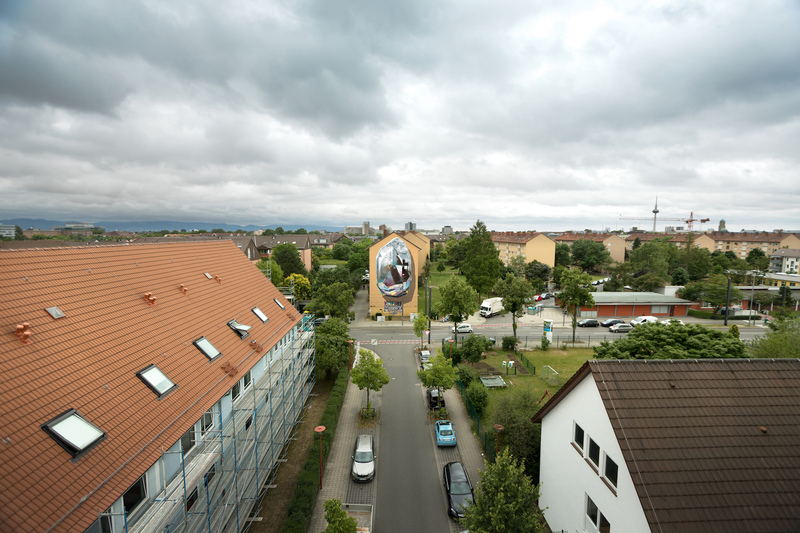 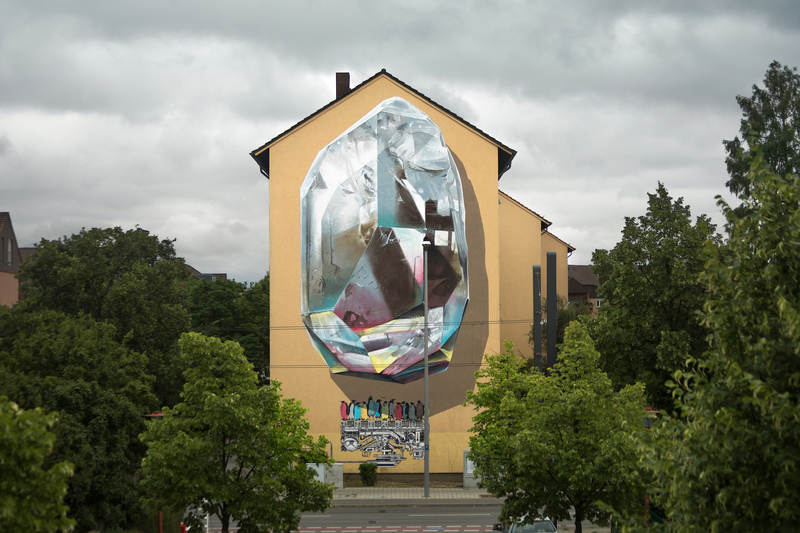 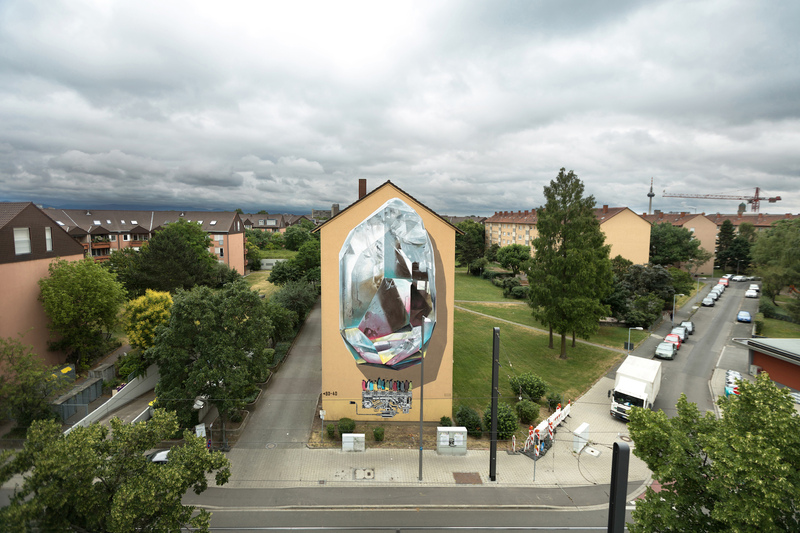 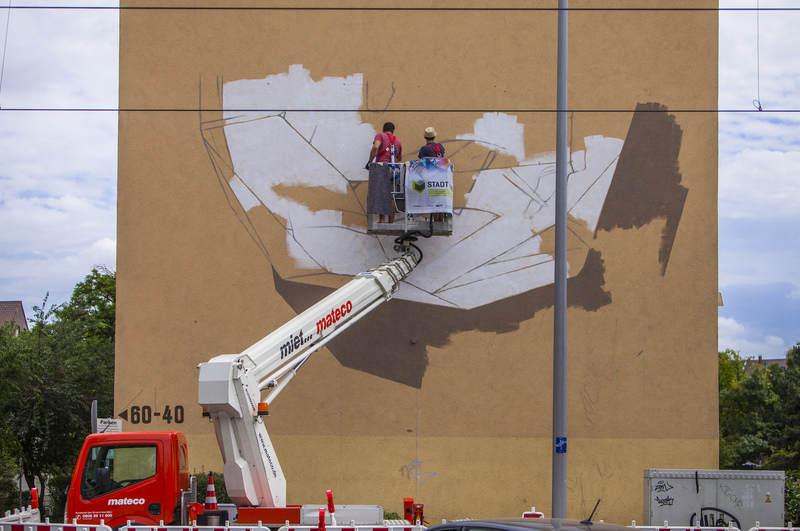 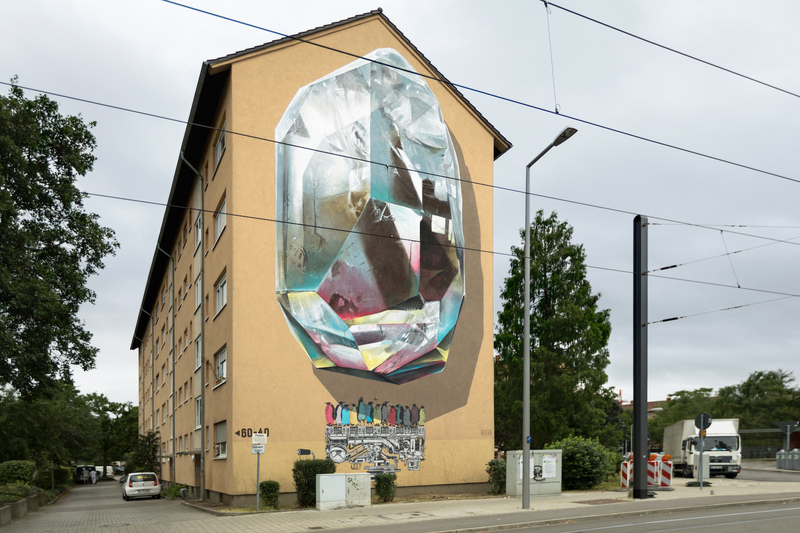 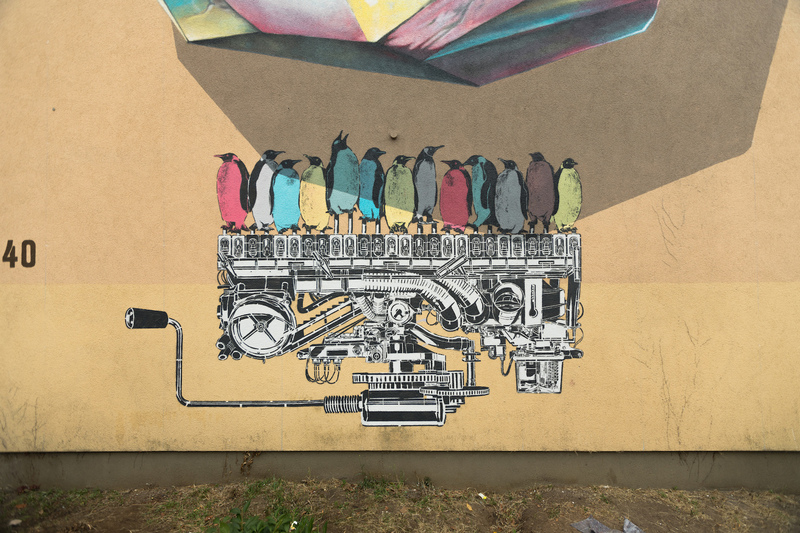 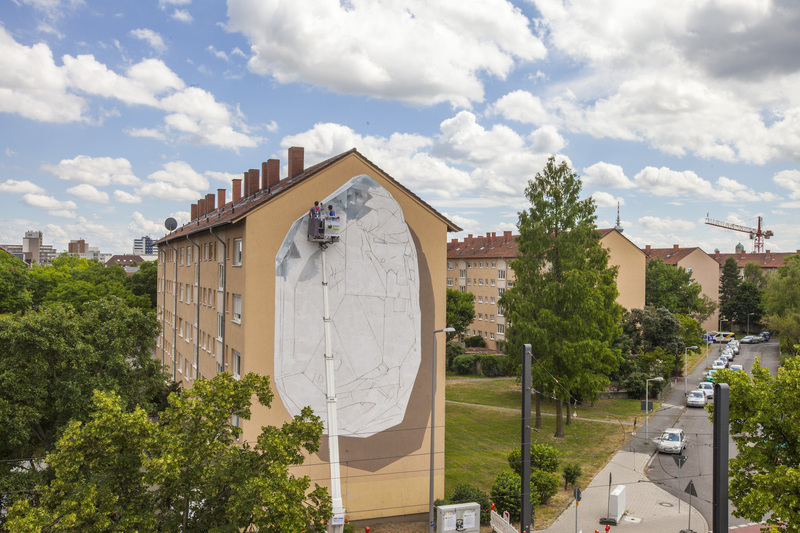 Swiss artist duo NEVERCREW has been very active recently and here is their brand new piece called “Propagating machine” in Mannheim, Germany for Stadt.Wand.Kunsts project which has been decorating the streets of Mannheim since 2013. 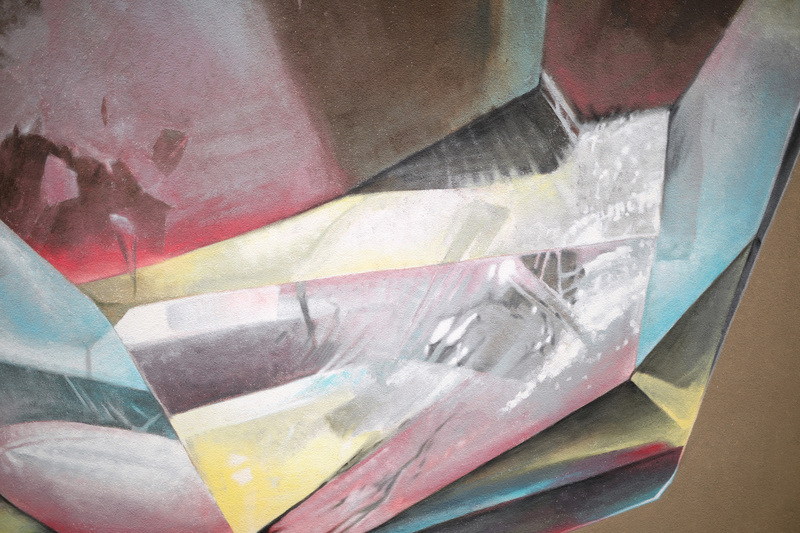 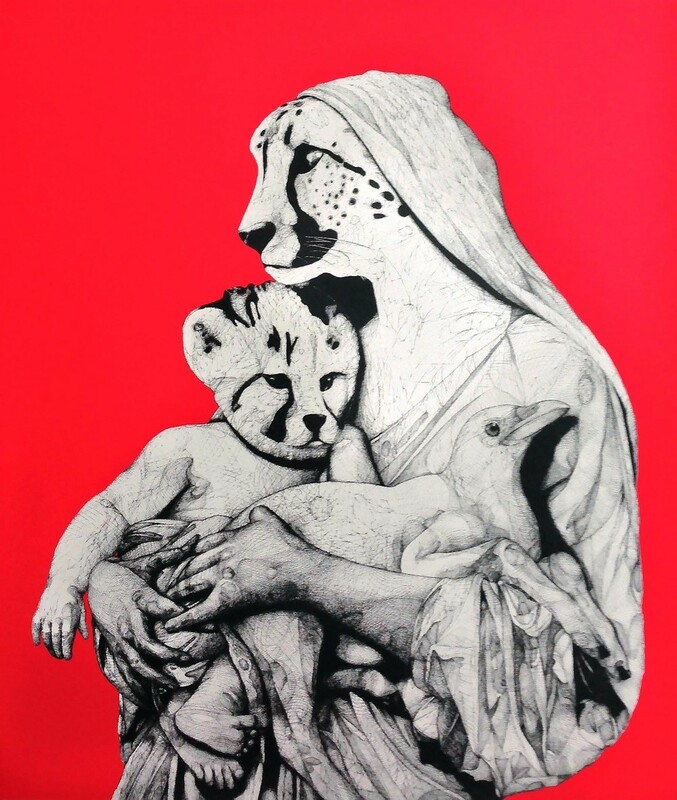 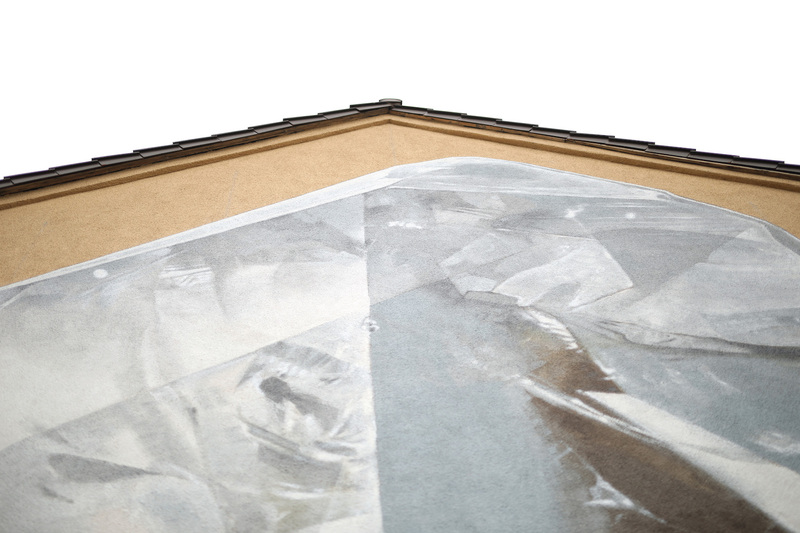 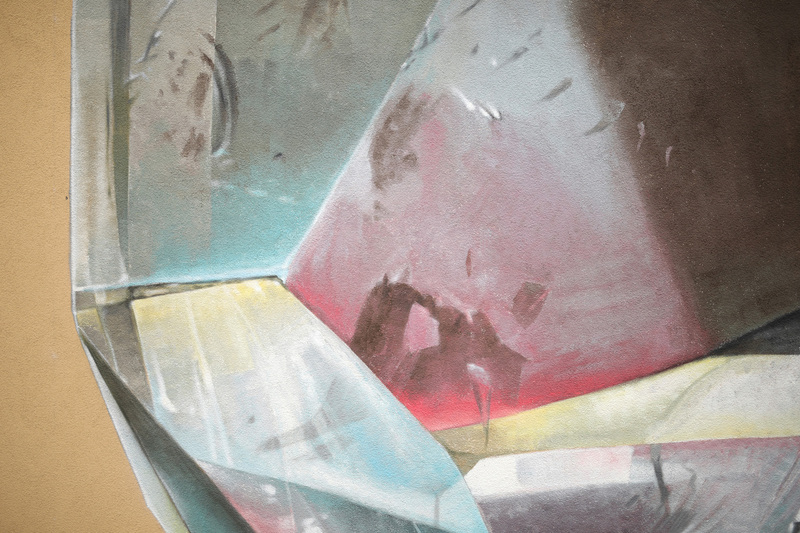 This work is about the balance between the elements, about the relation between mankind an nature and about how, within this relation, each element could affect the system of which is part, both in a negative or in a positive way. 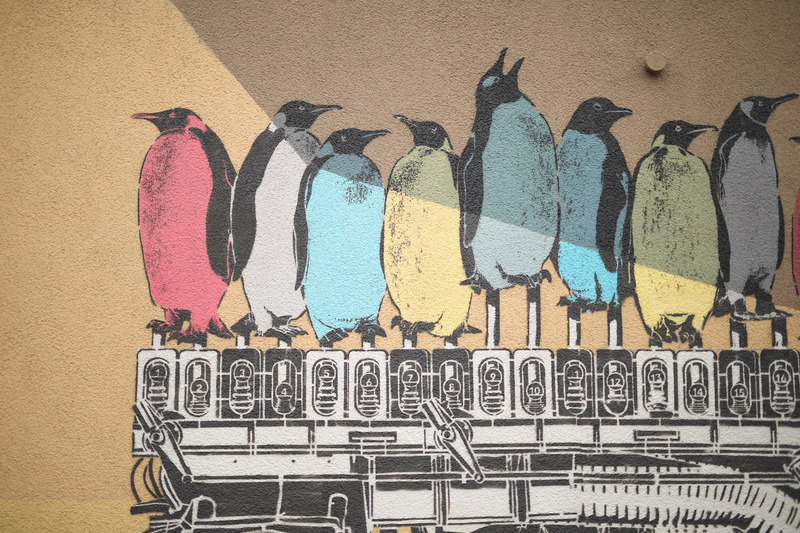 It is about immediate effects and long term consequences that could seem not tangible, so about the importance of single acts or global attitudes towards the environment in which everyone live. 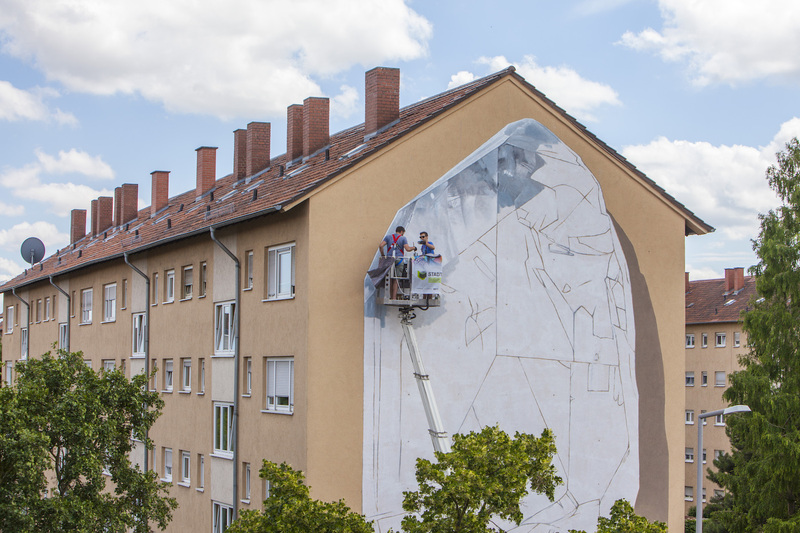 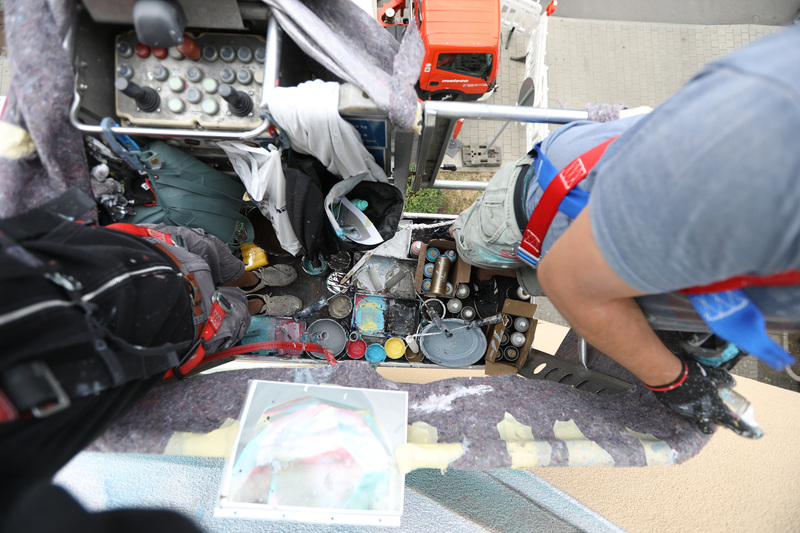 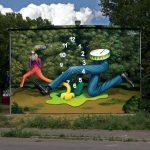 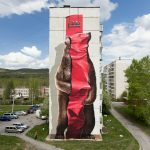 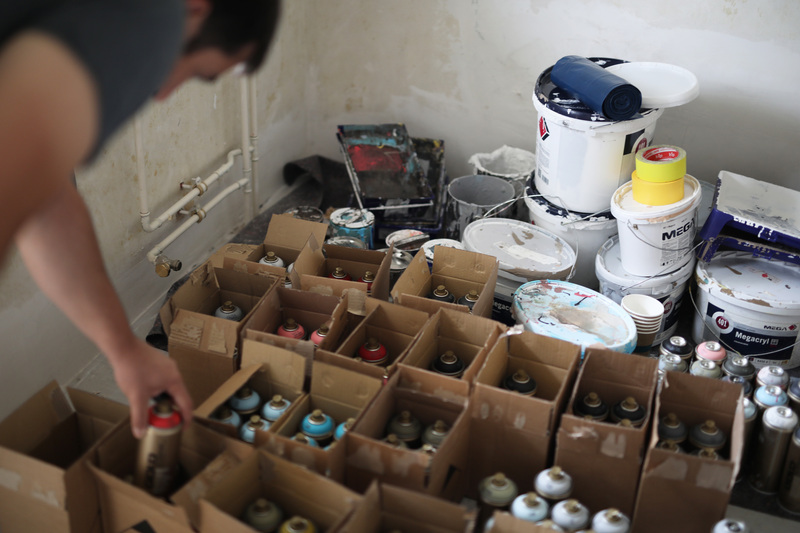 Check out more images below and a video on how this mural came together and stay tuned on StreetArtNews for more updates from Germany!